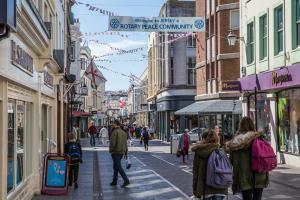 The Rotary Club of Jersey has been working toward the recognition of The Island of Jersey as a Rotary Peace Community since 2012. There are currently 59 Peace Cities in 17 countries around the world. 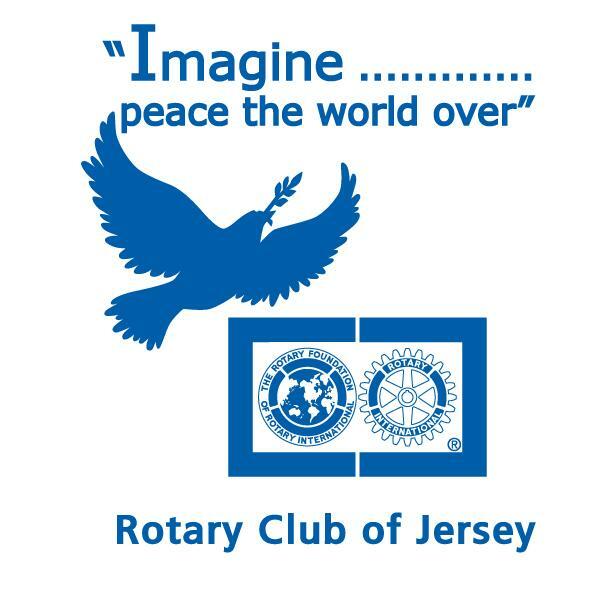 The 8th May 2015 saw this dream fulfilled, when the Island of Jersey was declared a Rotary Peace Community the first in the British Isles and the 60th in the world. 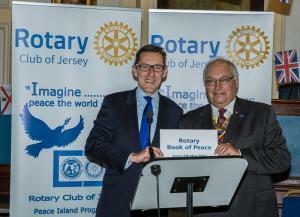 The Chief Minister, Senator Ian Gorst, was presented with the Rotary Book of Peace to mark the occasion. Appropriately this all occurred the day before the 70th anniversary of the Island of Jersey’s liberation from Occupation during World War Two. Many organisations have confirmed their desire to work with Rotary to create an island community free of conflict and one in which people can live and work together in peace and harmony. 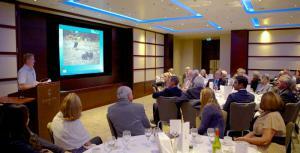 The full story and the online version of the Rotary Book of Peace can be found here. Work will now continue. 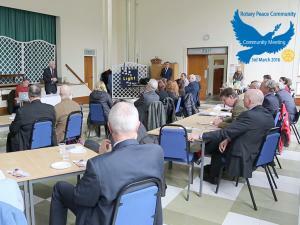 Rotarians will engage with these supporting organisations to identify ways in which we can cooperate to improve peace and harmony in the island. 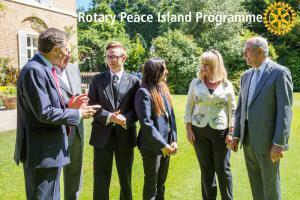 Rotary is also committed to working with schools and young people, and will be offering its support to their curriculum activities in the areas of peace and conflict resolution. 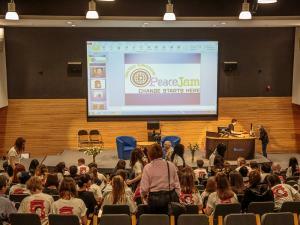 The next event in our Peace Programme will be the Annual Student Peace Debate which is to be held in the States Chamber on Friday 2nd October 2015. Once again the Chief Minister has kindly agreed to chair this debate. Freedom of expression and cultural diversity. The Peace Programme in 2014 was launched at Government House on 2nd July where the participation of young people was particularly emphasised. 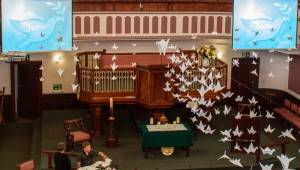 This year's events are focused on the weekend of UN World Peace Day, Sunday 21st. September. Events commenced on the morning of Friday 19th. September with the Student Peace Debate in the States Chamber. 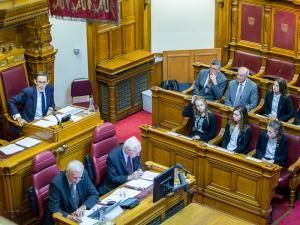 His Excellency General Sir John McColl KCB CBE DSO Lieutenant-Governor of Jersey gave a keynote address and The Chief Minister Senator Ian Gorst moderated the debate and provide a local perspective on issues of community harmony. 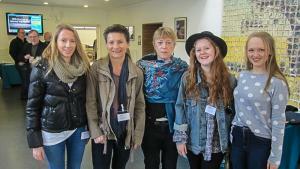 Some of the students then presented their conclusions on Saturday evening 20th September at the annual Rotary Peace Dinner held at the Pomme d'Or. 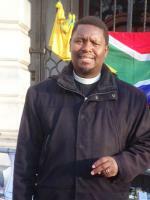 Our principal speaker was Reverend Jongikaya Zihle, and the programme included The Chief Minister, other speakers and video contributions from Jersey's own Rotary Peace Fellow Rich Wainwright and an update on the work of Yumiko Shinya another graduate of the Rotary Peace Programme. 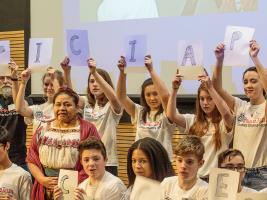 In 2013 the Peace Programme featured a day long Seminar addressed by several experts in the field of Peace and Conflict Reconciliation many of whom took part the previous day in a Student Seminar attended by some 360 secondary school students. 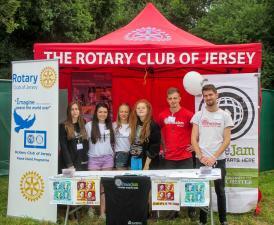 If you are interested in learning more about the Rotary Club of Jersey Peace Programme please contact Rotarian Tony Allchurch on 01534-767593 or by email. We issue occasional Newsletters designed to keep supporters in touch with our progress. If you wish to be added to our mailing list please contact us. Copies of our Newsletters can be downloaded here.